From efforts to drop the Johnson Amendment, to FEMA policy changes benefiting houses of worship, to SCOTUS drift jeopardizing women's bodily autonomy, the past few years have presented numerous challenges to American secular governance, threatening to stall or reverse much of the progress made by the historical struggle for separation of religion and state in the US. 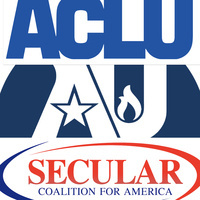 We at the Secular Society of MIT have brought together representatives from three organizations that have long been standing guard over and advancing secular civil liberties and rights for Americans, to take stock of the situation, and to discuss the question of where to go from here. Free entry. Free light refreshments.